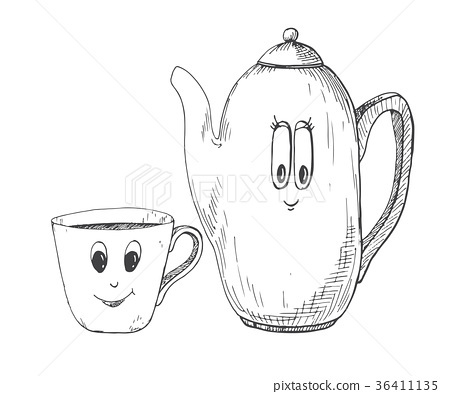 Stock Illustration: Hand drawn kettle and a mug in the cartoon style. Hand drawn kettle and a mug in the cartoon style. Vector illustration of a sketch style.